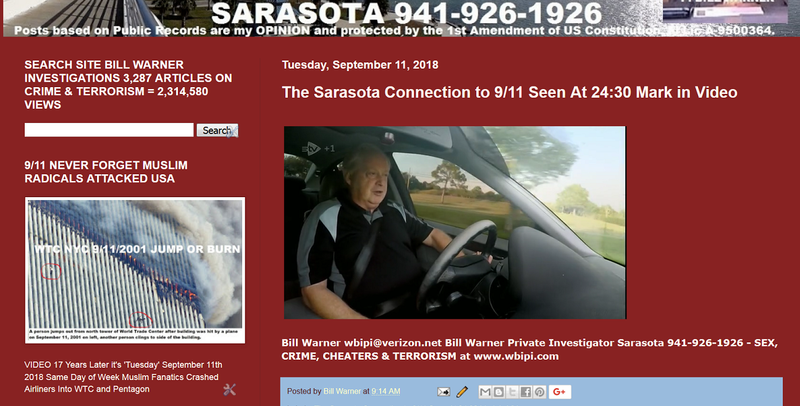 The Sarasota Connection to 9/11, these terrorists were in my neighborhood I felt like I should have done more, says private eye Bill Warner. Jihad Preaching Holy Man Muneer Arafat Comes to Sarasota Fl in March 2000 His Al-Qaeda Agent Roommate Ziyad Khaleel Goes to Orlando and Sets Up Terrorist Websites.The Sarasota Bradenton Islamic Center Mosque at 4350 N. Lockwood Ridge Rd Sarasota Fl hired Al-Qaeda and Hamas linked Imam Muneer Arafat in March of 2000, he had been preaching Jihad in the St. Louis area up to the end of 1999. The Sarasota Connection to 9/11, in reality Sarasota was terror central prior to September 11, 2001, says private eye Bill Warner. The Sarasota Herald Tribune never reported the November 2002 arrest of Imam Muneer Arafat by Federal Agents in Sarasota Fl for overstaying his visa. 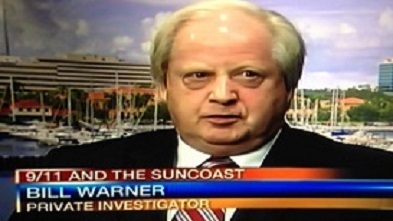 The Sarasota Herald Tribune never reported that after his November 2002 arrest Muneer Arafat was required to give testimony at a Federal Grand Jury Terrorism Investigation in St Louis concerning links to the 9/11 attacks and information about his former Al-Qaeda linked roommate Ziyad Sadqua aka Ziyad Khaeel.